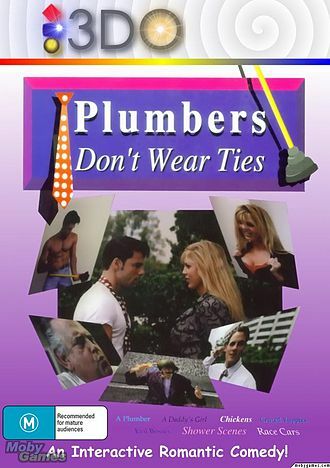 Plumber’s Don’t Wear Ties is an interactive movie (actually, a series of still images), in which players are tasked with getting John and Jane together. Both characters are being pressured by their respective parents to find a spouse. If the player makes choices that do not result in the two ending up together, they are given the change to start over.